Researchers at the University of California, Davis, have found that Lyme bacteria "have developed a novel strategy for subverting the immune response of the animals they infect." Their study appears on-line in the journal Public Library of Science Biology. The bacteria that cause Lyme disease, one of the most important emerging diseases in the United States, appear to hide out in the lymph nodes, triggering a significant immune response, but one that is not strong enough to rout the infection, report researchers at the University of California, Davis. Results from this groundbreaking study involving mice may explain why some people experience repeated infections of Lyme disease. The study appears online in the journal Public Library of Science Biology. “Our findings suggest for the first time that Borrelia burgdorferi, the bacteria that cause Lyme disease in people, dogs and wildlife, have developed a novel strategy for subverting the immune response of the animals they infect,” said Professor Nicole Baumgarth, an authority on immune responses at the UC Davis Center for Comparative Medicine. Lyme disease, the most important tick-borne disease in the United States is caused by Borrelia burgdorferi, corkscrew-shaped bacteria also known as spirochetes. The disease is transmitted to humans and animals through bites from infected deer ticks. The disease occurs mainly in the Northeastern and Great Lakes states, and is present to a lesser extent in Northern California. In addition to Baumgarth, members of the UC Davis research team include Stephen Barthold, director of the Center for Comparative Medicine; Emir Hodzic, director of the Real-Time PCR Research and Diagnostics Core Facility; staff scientist Sunlian Feng; graduate student Christine Hastey; and Stefan Tunev, formerly of the Center for Comparative Medicine and now at Medtronic Inc.
Funding for the study was provided by the National Institute of Health. Please, after 30 years of immune dysfunction and many opportunistic infections, how do I get a positive LYME dx? Also my son inherited at least one virus from me in utero or at birth. He suffer an acute brain emb blood clotting stroke had immune weakness, serious fatigues after any exertion and mus take coumadin for life. The steroids for no cortisol production are keeping him up for days. He lives in high 10 levels of head pain w neck swelling as well as behing his eyes. bone loss and cartilage damage in R rotator and R knee. uses a cane four prong for balance issues. VIsual disturbances are common. I have spirochetes in my eyes and field of vision. Every joint muscle and bone hurts. VIsion loss is serious. Brain feels swollen. Fever and fluish symptoms. we both ahve all these. who please can help us? we are homebound all alone w no support system. we are out of food. Depression has started due to all of the losses we have suffered. It seems that the amazing feats that this baceteria can accomplish never ends. 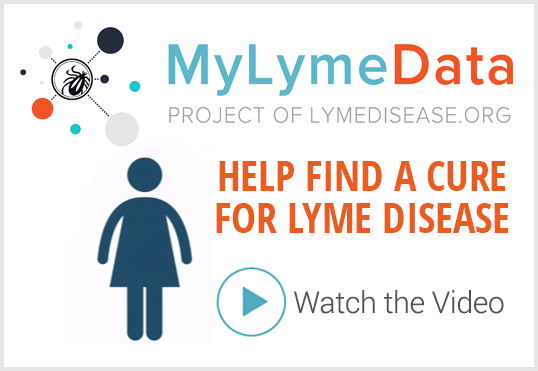 Cindee, it might be helpful to connect with other Lyme patients in your region, to find out what resources might be available. For other assistance, can you contact your county welfare department and/or a local food closet? My daughter has been battling lyme and coinfections for nearly four years. She was able to go back to work for awhile as an officer and now has been off again getting treatment of various antibiotics. The costs are huge for people infected and health insurance and worker's comp have been difficult to work with for payment. People who do get lyme do not have the energy to fight for proper treatment and hopefully with the help of the research done at Davis and other universities treatment which works can be found for my daughter and those who are suffering. Many MDs that she went to initially did not believe she was ill and told her to quit her job, but it is what she wants to do and I hope she can go back eventually. She is a great officer. I hope funding continues so research for lyme and co infections can be appropriately treated and stop suffering. 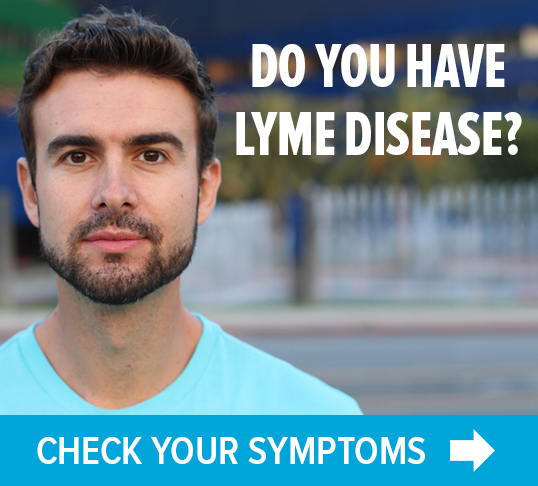 Cindee, Lyme is a clinical dx. You need to go to a doctor who knows their stuff. Here is a doctor referral page. It's on lymediseaseassociation.org. Also try the Yahoo group BorreliaMultipleInfectionsAndAutism. This group is helping me to greatly improve mine and my son's lives. Cindee – you're mentioning many issues here. It would be easiest to respond on a discussion board, like for example, http://www.lymenet.org is very good for that. A lot of folks could help with all the things you're talking about. You can sign up there with a name, then post in Medical Questions or General Support, and we can respond. This is the kind of discussion we have there, to help folks through. Cindee – Very sorry to hear your plight. I was tested by Igenex Labs in Palo Alto, CA. http://www.igenex.com Medicare covered it. I have a very good Lyme literate dr. in St. Paul, MN. I receive SSDI disability, but it was a year-long battle and took 3 attempts. I get help from my county Social Services Dept – food stamps, help with my heating bills through the state – help with my phone bill, etc. I live in HUD-subsidized apt., so rent is lower. A good worker at the county Social Services would be able to help with most of this, also a good church. God bless and help you. This is one of the symptoms I've been battling for several years. The radiologist said my swelling was in the lymph nodes but the surgeon thought it was my salivary glands. I'd be interested in finding out how patients are being helped with this symptom. Thanks. Marie, My situation is similar to yours, but i dont get food stamps and I had to pay over $700.00 for the tests and they were negative. I have had three other positive tests, a text book EM rash, many tick bites, all but one of the hundred or so symptoms, and now have Babesia and god knows what else from a blood transfusion. I live in California. Keanu, how are you now? It is May, 2016 has the Babesia been addressed? Somewhere I read the spirochete has a protein coating around it that makes our immune system unable to penetrate it to kill it. Did some research and found that protolytic enzymes will remove that and leave the bacteria open to be killed. I used a product called VIRASTOP by Enzymedica about 6 a day, or even more depending on how seriously ill you are. I then used SAMENTO's Cats Claw as an antibiotic and North American Herb and Spices Oil of Oregano as antibiotics. Both of these got rid of the candida. Then just began to build my immune system with a product called E7 by Integris Global. I also did powdered wheat grass (by Amazing Grass) in water twice a day. The chlorophyl in it flushes the die off in your blood and organ out of your system rapidly when you have Herx Heimer. I reactions. I also juiced at least once, sometimes twice a day…..lots of greens, a little carrot and apple for taste. No alcohol, sugar, white flour or bad oils or processed foods. All natural and organic. I knocked the stuff out of my system in about a years time. I now live in Mexico and do ozone therapy just to boost my immune system and keep me tip top. I occasionally still get hit with a round of the EBV, but use the ozone and VIRASTOP by Enzymedica to knock it out. Once this seriously ill, it seems our immune systems become fragile. Hope this helps……..I will be in prayer for all of you on this site who are suffering……….I found my answers thru God in prayer…….I asked Him to show me what to do and lead me………He did. God bless you. I am in total agreement with you Lynn, the only way I am fighting through this is because I grew close to God and I asked him to either take me or help me to endure this and start healing so I can help others. This can be a lonely disease if you don't reach out, take help when you need it, become more humble and relay on God. I feel when i am physically weak, i become spiritually strong. But amazingly after reading Lynn's comment, I too was guided to use many of the same products as Lynn, I was just looking into Enzymedidica's product so thanks for verifying that. I do 6 juices a day, 2 green and 4 carrot/apple/ginger. I follow gerson therapy(www.gerson.org) which is very beneficial for all of us Lymies. I also have used hyperbaric therapy and other products that are helping heal the damage the bacteria have caused. I am still battling but from where I was in Dec 2010 which was close to death, not able to drive or take care of myself, I am so much better. I am driving again, live on my own, and I am starting a Co-op to help bring down cost for Lyme type products which also helps other people with chronic diseases as well. If anyone is interested, you can email me at tj.tea7@yahoo.com. This is not for profit just to buy at larger qty so we can get stuff cheaper. We all know how expensive this disease can be. My daughter and I are now growing some of our food so we can eat organic as much as possible. Lynn thank you for your message, i think VIRASTOP may be what i needed to breakdown the outer layer so I can use the SAMENTO more effectively. Cindee my heart goes out to you as it does to everyone here. We can endure this, but we sometimes need to lean on each other. I hope and pray that all of you are on the road of healing. You are not alone. I was diagnosed with Lyme Disease in June of 1990. I had the tic on my right leg and within 5 days I had the red ring . I went to a clinic in Hyannis, MA that Sunday, they did a blood test and said it was positive for Lyme. They put me on an antibiotic (I don't remember which one, I've had so many over the years)for 21 days and said that I was all set. For the next 7 years I suffered with joint aches, head aches, exhaustion etc. We were seeing a PA at another clinic in Hyannis and when I described what I was going through, he told me I still had Lyme and that it wasn't treated aggressively enough at the onset. He put me on amoxicillan and we began to search for a doctor that dealt with infectious diseases. I met Dr. Samuel Donta who was affiliated with Boston Medical Center. For three years I went through Donta's program of antibiotic therapy, switching from one to another every 3 months (3 different antibiotics). After 3 years and feeling like I was on a rollercoaster of feeling pretty good and thenpretty bad, I asked if this was as good asit was going to get. He told me that the only thing left to try was an IV pic-line. I was so fed up with all the trial and error treatments that I opted not to commit to that treatment. I was a shop teacher at the time and I didn't feel like walking around with the shunt in my arm. I retired in 2004 and shortly after we moved to Florida. Winter killed me. I thought that the southern heat would help me some. Now in FL I have found that very few doctors here even acknowledge that Lyme exists. I've had doctors try to convince me that I have arthritis, chronic fatigue syndrome and fibromyalgia. I am now in constant pain, exhausted (there are days that I don't get out of bed), my hands, arms and legs cramp severely, Ive developed tremors in my hands which for a pinstriper is deadly. Most recently, after a car trip up north for a visit and a flight home my feet and ankles have blown up like baloons and don't want to go down.I went to see our family doctor,who is a very good listener, but has a limited knowledge when it comes to Lyme. He took one look at my feet and sent me for two ultra sounds of my legs and groin, to check for circulation problems. That all came back negativebut, they found that some of my lymph nodes in my groin area are enlarged. This latest finding is what brought me to this web site. 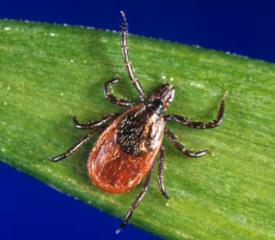 In reading about recent studies I found that the Lyme will hide in the lymph nodes and again mock other conditions. Last year, at this time I was just coming off of a 16 week IV treatment of ceftriaxone (sp) that didn't do much more than anything else has. I am seeing an infectious disease doctor who is very nice but is also taking shots in the dark. At least he tells me that there are no guarantees because I've been dealing with the Lyme for so many years. This past summer our family doctor put me in the hospital for "observation". I went through every possible test with every specialist in town looking at me. The final determination was that I had no major health issuews so all of my problems came back to LYME DISEASE.I forgot to mentionthat I get a pain in my chest that will start on the right, move to my left and start down my arm. A cardiologist has done all of the blood work related to a heart attack, stress tests and finally a cathater to look at my heart. My heart is in excellent condition. In 2002 I was diagnosed with prostate cancer and the final result was to remove my prostate. It was caught soon enough so it hadn't spread. This is why the lymph node condition has me worried. Hopefully it is theLyme and not cancer. I know that I have been long winded but I finally had to share my experiences with someone. Symptoms: daily migraine headaches, swollen lymph nodes on the left side of my neck, enlarged pituitary gland, enlarged thyroid gland (only on 1 side), body aches all over, joint pain, can’t sleep (very restless, but extremely tired), CD-57 level is 39, ANA tested postive for autoimmune disease of some kind but not sure what yet, blurred vision in the morning after I get up, gradual weight gain and hot flashes with sweats like you wouldn’t believe. I’m seeing a Neurologist who suspects I may have had Lyme Disease with a co-infection for several years now. Blood results have not come back yet from Igenex and Advanced Labs. Due to get them next Tuesday (8/14/12). I am a very active person, both with work and my personal life, but this is seriously taking a toll on me for sure. My questionis did you ever get any food or other supplies?